Why Should You Care About Science? : 13.7: Cosmos And Culture As science advances, it becomes more abstract and distant from people's everyday reality. How do we bridge the gap so that society as a whole can engage in the questions of the day, from global warming to the debate on evolution? Of course, to many readers of 13.7 my question is self-evident. They are reading the blog because they not only do care about science but also want to share their views on whatever topics we bring up. But this is not the case for most people. If you don't believe me, just go to a bookstore and look for the science section. Or check the best-selling lists from The New York Times or Amazon. Yes, once in a while a science title climbs the list and hovers there a while. But often, unless there is a mix with religion or politics, science books attract mostly science buffs. It would be unrealistic to expect that the whole population of the United States would be interested in the latest scientific advancements. But what seems alarming to me, and to many of my professional colleagues, is the level of disconnect between the science people use and consume and the science they know. To this we may add the more fundamental questions related to science and its impact on culture and, by extension, on our view of the world. If you read my post last week on evolution you know what I mean. For the sake of argument, we can separate the way science interacts with most people into two parts. The first is by the uses of science, that is, its technological applications. The second is through questions related to more metaphysical issues, such as the origin of the universe and of life, or what exists inside a black hole, or if the universe can be described as a giant computer, or if it will end. In both cases, education, both formally — in schools — and informally — through books, TV documentaries, books, and magazine articles — plays a key role. In both instances, technological applications and fundamental questions, something curious has happened during the 20th century: as science progressed, it moved away from our everyday perception of things, becoming progressively more abstract, even bizarre. If you lived in the 18th century, many discoveries seemed mind-boggling (e.g., Herschel's discovery of Uranus and of hundreds of nebulae). Yet they were still palpable. People could see a new planet and stellar nebulae with telescopes. 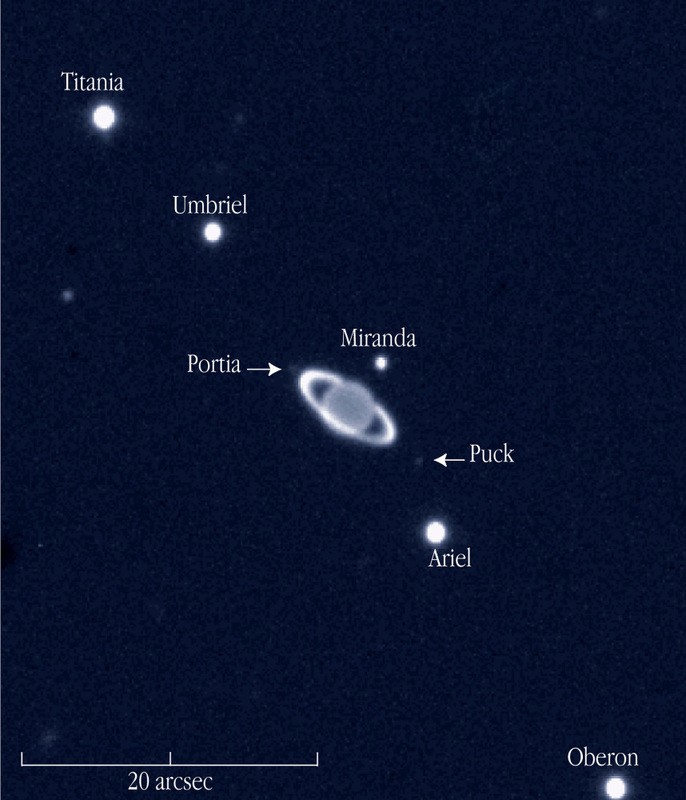 A near-infrared view of the giant planet Uranus with rings and some of its moons, taken by the European Southern Observatory in 2002. Now, however, to "see" an electron or a DNA molecule, or even a quasar at five billion lightyears away, you need highly-specialized equipment, not available to the non-specialist. To make things worse, theories such as the theory of evolution (at least as it relates to changes in the fossil record), or the big bang model of cosmology, or plate tectonics for that matter, act on time scales so much larger than a typical life span that to understand the science you must take in a different intuition of how time can pass on non-human scales. So, there is a growing distance between most people and the way objects of interest to scientists are seen and studied, and how results from the various observations are interpreted. Perhaps this is why, some time ago, a reader told me that, to him, believing in an abstract God or in a claim that the universe is 13.7 billion years old was not so different. And yet, these two couldn't be more different! The same sort of difficulty arises when people doubt what scientists have to say about global warming. Without a concrete, tangible in-your-face evidence, people find it much harder to "believe," even though global warming, as any other scientific claim, has nothing to do with belief. What to do? I don't think there is a simple answer. But surely, the more scientists engage with the general public both formally (by visiting schools and talking to students at all age groups) and informally (through blogs like this and so many other venues), the more we stand a chance of decreasing this widening gap between what is done in the labs and research centers around the world and what is discussed and understood by society as whole.